Description: Fashionistas…Ever Envision Several Dozen Fashion Designers in Your Abode?…Sitting on Your Sofa?… Sitting in Your Chair?… Even Propped Up on Your Bed?!? 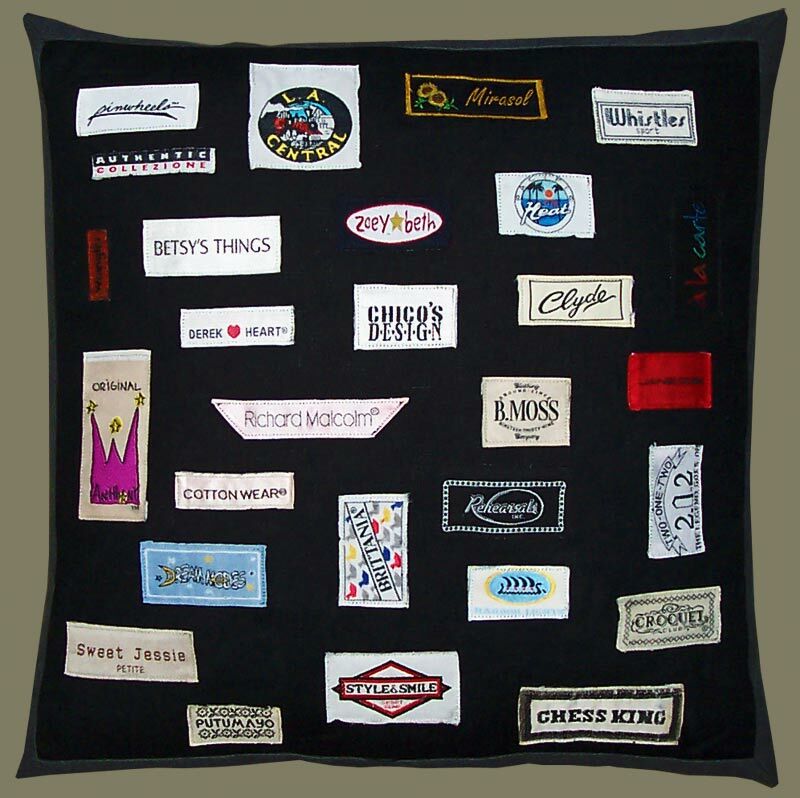 Good News…They are Numerous Fashion Designers Behind and Among the Reclaimed Fashion Designer Labels Appliquéd to This Artisanaware Decorative Pillow…Each will be There to Keep Your Company. Not Only a Fashion Trade Guest List, but a Composition to Tweak the Interest of the Graphic Artist in the Arrangement of Labels and Use of Fonts. Dress Your Home or Office with an Artistic Study on Black Linen, Framed and Backed in Smokey Grey Micro Suede, with Hidden Zipper Closure. A Decorative Pillow for That Modern or Contemporary Interior. A Conversation Piece, as Behind Each Label is a Story.